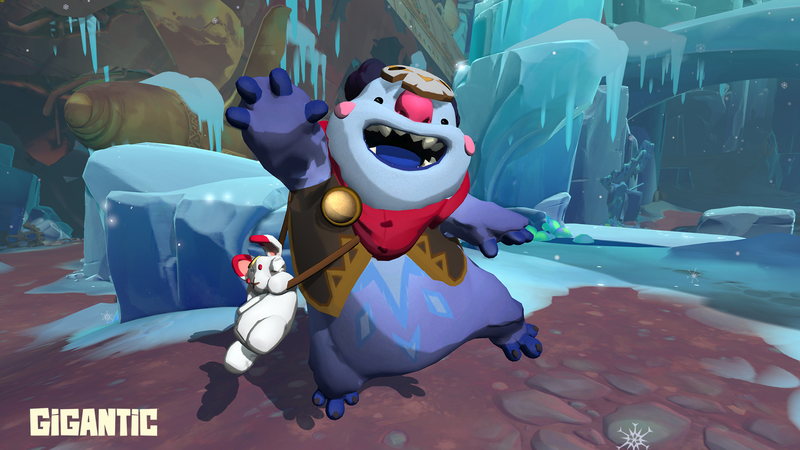 On Friday, I took a swing at the Gigantic Closed Beta, for the first time since before it was acquired by Perfect World Entertainment. Back when the only name on it was Motiga! 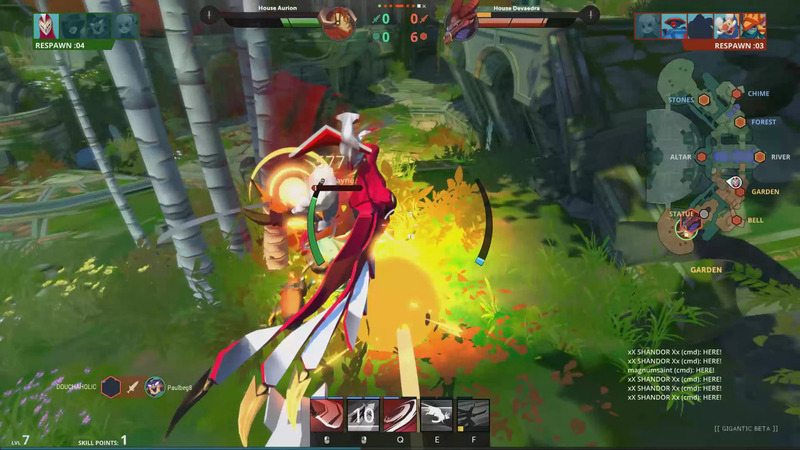 I’ve played it a few times at Pax as well, undefeated at press-style events in Gigantic when teamed with DizzyPW. I’ll embed the stream down below this so you can check out the content. Maybe I should give away a closed beta code for it. . . Anyway! The game plays the same as I remember it: You have two teams of five, in a SMITE-style MOBA, where the goal is to defeat the other team. Oh, and their giant monster. Did I forget that? Yes, this is MOBA with Kaijuu. While I was glad to have the entire squad at my disposal, my favorite character is still Xenobia. Evil tentacle sorceress with poison and darkness? Yup, I’m on board. There’s something interesting here too. When you queue, instead of queuing for a position, you pick up to five characters, and I imagine depending on how popular your first picks are/how many you pick will make your queue time faster/slower. When you get to the team select, you will likely, as far as I’ve seen, be one of those characters. Though it is intensely upsetting [for me anyway], when your main can’t be picked because someone locked them in first. I hope there’s an alternate way of doing this in the future/other game modes. It’s not bad, it’s just very different. The Tarot card system is a new way of doing quests too. 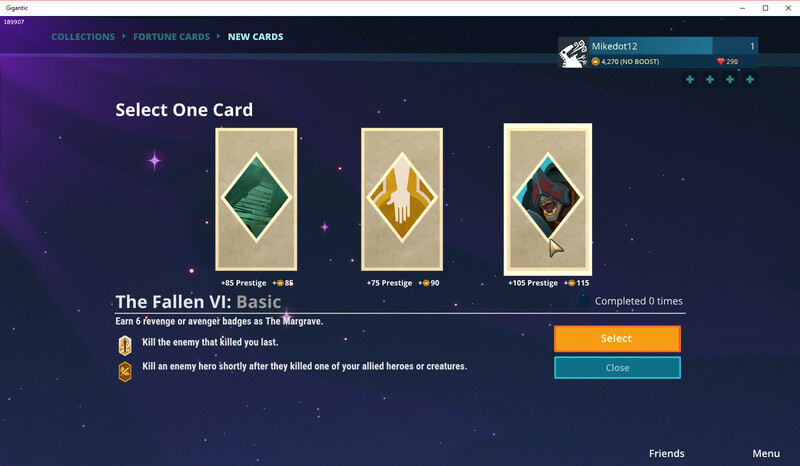 You can draw an extra card for your set of quests using gems [25 I believe], and will give you a quest for a particular character, chosen at random. That’s definitely a way to get players picking other characters in the game, especially if you have access to everyone. Honestly, I love this game. I was so glad to see progress is happening again, because it’s such an interesting way to play a MOBA. It’s less a MOBA and more of an arena battler I think, because it doesn’t have minion waves. You summon smaller monsters, power them up, and do battle with a giant enemy monster while their team vigorously defends it. It’s a unique game among team battlers, and I cannot wait to see it go live. It’s a wonderful title, with vibrant, bright colors and pretty delightful artwork. The character designs and kits are great, and I love having skilltrees for every class, instead of only getting a few options like, say in HOTS. So instead of learning itemization, you have to learn what upgrades you’ll need for which situation/team comp. So it’s very much a strategy game. Want to see more? Look below! Interested in signing up? Click here! 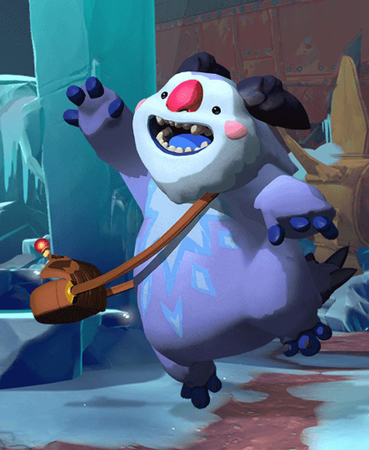 Gigantic Launches First Major Update! 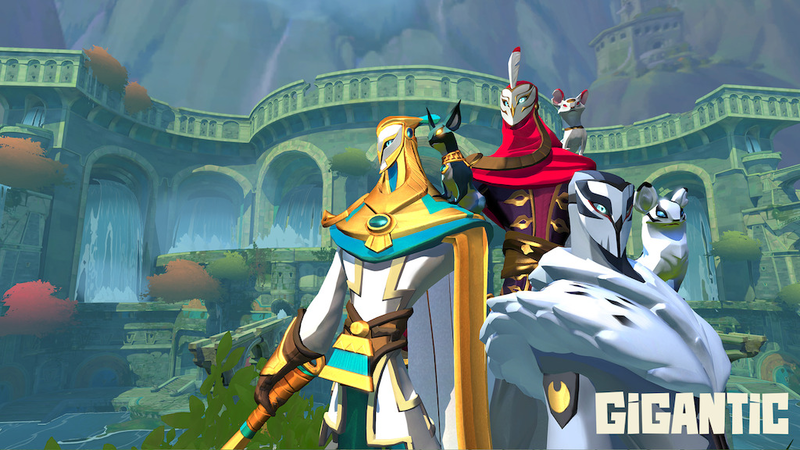 Gigantic Stress Test – Coming Soon!